“The Tango House of Santa Fe” has been selected for the 2015, 2016, 2017, 2018 & 2019 Best of Santa Fe Awards for Dance Instruction. Tango is a feeling that is danced! I will be offering Private Lessons for singles, couples, a small group of 4 couples in DC area. Dance like a milenguro from Buenos Aires! Our Focus will be on walking, connecting, musicality, and dancing on the social dance floor in comfort. we will also explore the external vocabulary of tango, vals, milonga, and dancing it to the requirement of the social floor within the music. This would encourage your creativity in the dance without restrictions and will help you to become a universal dancer. After 24 years of dancing and 16 years of teaching tango, I learned that almost all the figures could be danced in an embrace in a small or crowded spaces without interfering the flow of the dance floor and I will help you to achieve that! 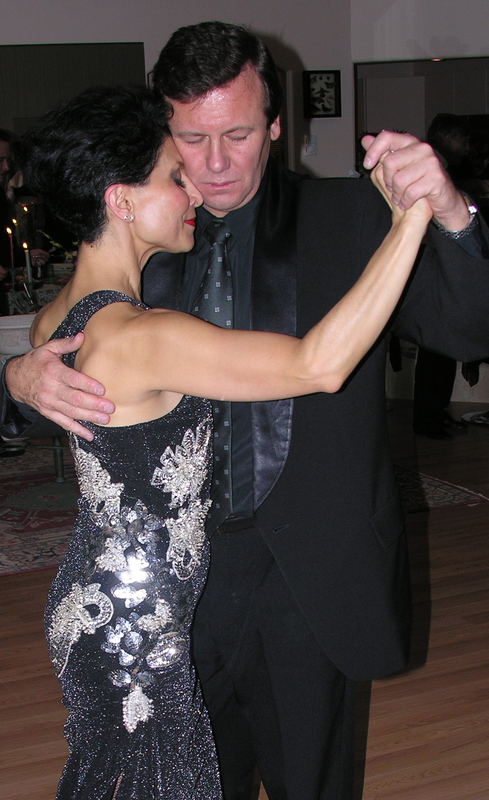 I also teach the technique of stage dancing, performing, figures, nuevo style, and choreograph for the performers as well in Argentine tango, other Latin dances, and Ballroom. D.C. area: classes will take place on April 7th – 14th, 2019 from 12-6pm for locations at 505-920-9987/ 575-779-0712 RSPV is required! for history and previous workshops please refer to: Previous workshops on the home page under classes/workshops/events. For all the participant: please bring your practice shoes, Ladies, high heels are for the milonga, it is practical to have practice shoes to learn foot works! Shahin Medghalchi: is a well traveled Argentine tango dancer and teacher in North America, Europe, and Argentina. A sensational dancer and a skilled teacher, Shahin was trained by masters of tango from Buenos Aires through her travels since 1995. With Shahin’s unique method of teaching, and her undivided attention to your dance needs – fundamentals of tango through advanced vocabulary – she will help you achieve a sensible social floor dancing technique, elegance, musicality, and connection with your partner, as it was and still is danced at the salons/ milongas of Buenos Aires. http://www.thetangohousesf.com/about/. The Focus will be on walking, connecting, musicality, and dancing on the social dance floor in comfort. 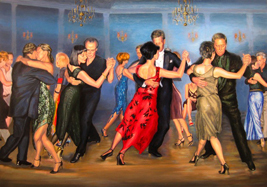 She will also help you to explore the external vocabulary of tango, vals, milonga and dancing it to the requirement of the social floor within the music. This would encourage your creativity in the dance without restrictions and will help you to become a universal dancer. After 24 years of dancing and 16 years of teaching tango, she learned that almost all the figures could be danced in an embrace in a small or crowded spaces and she will help you to achieve that ! Shahin also teaches the technique of stage dancing, performing, figures, nuevo style, and choreographs for performers as well in Argentine tango, other Latin dances and Ballroom.